Active Galactic Nuclei (AGN) are powered by the accretion of material onto super-massive black holes at the centre of galaxies. In the current paradigm for galaxy evolution they represent an important phase in the galaxies life. The enormous energy release by AGN may couple to the interstellar medium and is suspected to influence the conditions for star formation in their host galaxies. 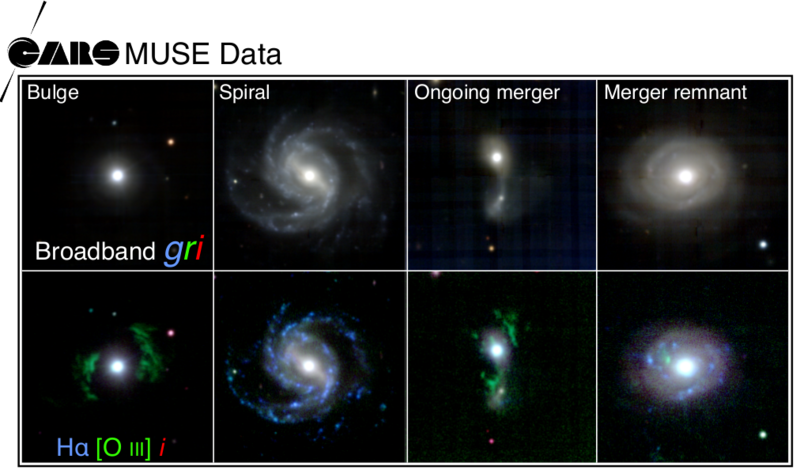 Although AGN have been studied over decades now across the entire history of the Universe, the intimate link to their host galaxies yet need to be uncovered. This website provides an overview data and the science projects pursued by the team. In the future it will host dedicated data released of the data and high-level data produces as the survey continues to be productive.